On the MWC 2015 HTC has brought an updated version of the smartphone HTC One, which this time was the HTC One M9. This model could be called as “upgrade” to the previous model, because visually it has not changed, and it’s easy to be confused with the M8. The company motivates its decision not to make radical changes in the design of the habits of users of previous models of HTC One. They allegedly did not want major changes. 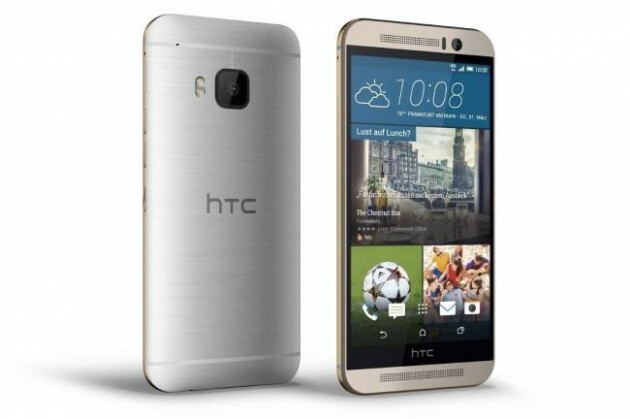 It is difficult to say whether this is true, but let’s see what the new still appeared in the HTC One M9. And hope for the new design could be set with the HTC One M10. The new HTC One M9 has undergone minor changes. Nevertheless, a direct comparison can be seen that the frame on the sides of the display HTC One M9 are smaller than the previous model, and in general it was a little higher, and more, as it may seem thicker. As a result, the size of One M9 constitute 144.6 × 69.7 × 9.61 mm versus 146.36 × 70.6 × 9.35 mm for M8. With this entire new model is lighter 157 grams versus 160 grams. But HTC is not understanding the concept of creating the lighter and slimmer phone, you could also look for the Samsung Galaxy S6 and Samsung Galaxy S6 Edge, where you could find the light body even if Samsung has used the metal body, something interesting that could be called and we don’t want the next of HTC, the HTC One M10 would criticized because of the same design, thickness and weight. This year too, on the front of the smartphone HTC One M9 is a 5-inch display, covered with protective glass, top and bottom of which are located in stereo speakers. In addition, under the screen, you can find a black band with the logo of HTC. May be the HTC One M10 would also have the 5 inches display but the resolution in this case could be the 2K instead of just full HD. The company did not want to listen to criticism, and continues not entirely rational use of the useful area of ? ?the front panel. Instead of the logo could be located either control keys, which are now eat off of the display space, or increase the screen itself. Whatever it was, looks of HTC One M9 are still stylish. So, here HTC wins the heart. But the whole phone reminds us the previous One M9, and we would not like to see the same in the HTC One M10, so HTC should understand there would be very few people who would be upgrading the HTC One M8 to One M9, and if Same design would occur, people would like to stick with HTC One M8, and no up-gradation would surely affect the sales.